With approximately 100 different sample styles in stock at any one time, we endeavour to offer a wide selection of sample wedding gowns to try on, most of which are available to order in sizes 6 to 30 – some to size 36. Many designs can also be ordered in petite or longer lengths. 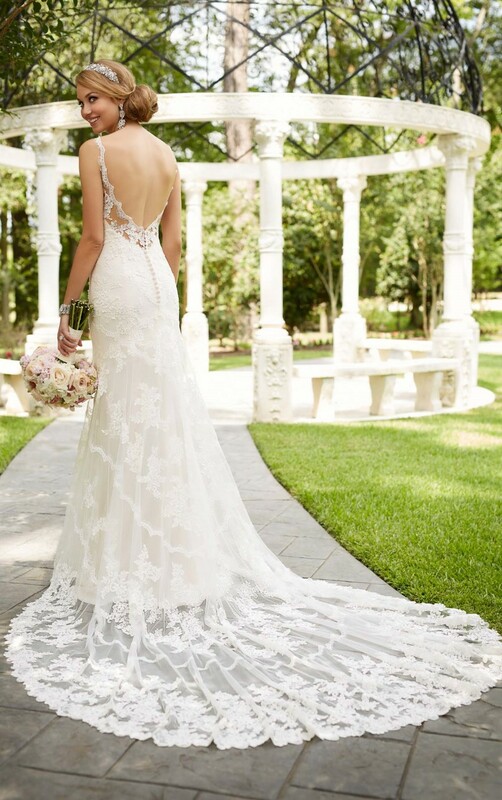 At Wedding Belles, our bridal gowns range from simple and elegant to astonishing to romantic. Every dress tells a different story about our brides and no brides is ever the same.